Heyday sell the most beautiful reproduction vintage clothing. 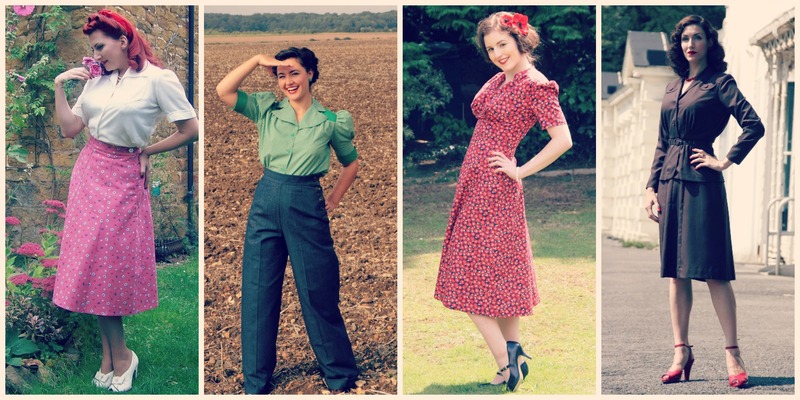 Inspired by the 30s, 40s and 50s their clothing really does feel like the real thing. Not only do they cater for vintage loving ladies, they also have a range of menswear too. Even better the clothing is made right here in the UK and also in New Zealand where the owner Shona is originally from. Everything is made ethically and often using fabric remnants for limited runs. Good stuff! I own one of their Fleur dresses and absolutely love it, I’m hoping to add a pair of their swing trousers to my wardrobe very soon too. Burlesque Baby offer lot’s of fabulous packages including burlesque classes, swing dance lessons and hen party packages. It all sound like so much fun. The swing dance lessons which are held in the West End particularly appeal to me, as a rubbish dancer myself I think I could do with a few lessons. They have so many fabulous hen party ideas that would be perfect for vintage ladies including; vintage tea parties, Gatsby Charleston hen parties, jive Grease hen parties as well as cocktail making and pin-up hair and make-up parties. If I was getting married again I’d love a cocktail making party! Maybe I’ll have to do something like this for my 30th! Chronically Vintage is the Etsy store of one of my very favourite vintage bloggers and all round awesome person Jessica Cangiano. The Etsy shop is a wonderful treasure trove of vintage delights. Specialising in beautiful authentic vintage jewellery and also stocking a fantastic range of other vintage clothing, accessories and paper items. Jessica has a real eye for the best pieces as you can tell from her own wonderful outfits. The shop is based in Canada but sends all over the world. 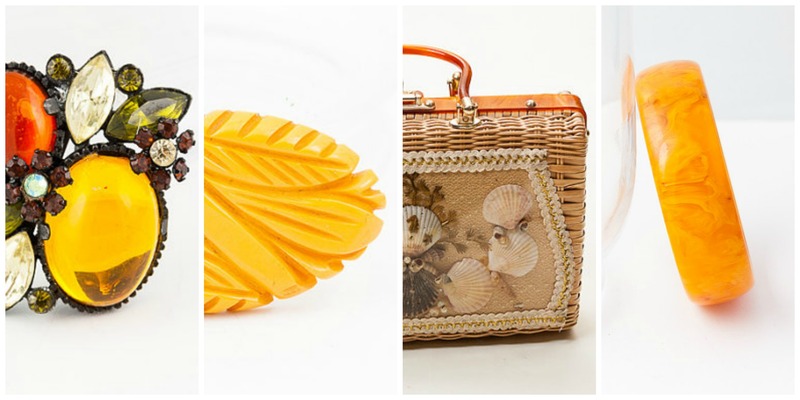 I have my eye on some of the gorgeous bakelite items. Judy’s Affordable Vintage Fair is one of the UK’s biggest vintage fairs, travelling all round the country offering the very best in affordable vintage. It’s a great place to pick up vintage from all eras and I’ve managed to get some fabulous fifties bargains there before. As well as the vintage fair they also organise The Vintage Furniture Flea and The Vintage Kilo Sale. There are dates almost every weekend, to find the next one near you visit their Events page. 20th Century Foxy are a super classy reproduction vintage brand. Made exclusively in the UK their designs really are like stepping back in time. With ranges paying homage to the 1930s-60s, everything is made using beautiful quality fabrics, cut to look like the real thing. I particularly love the 30s inspired items as you don’t see quite so many reproductions of clothing from this era. 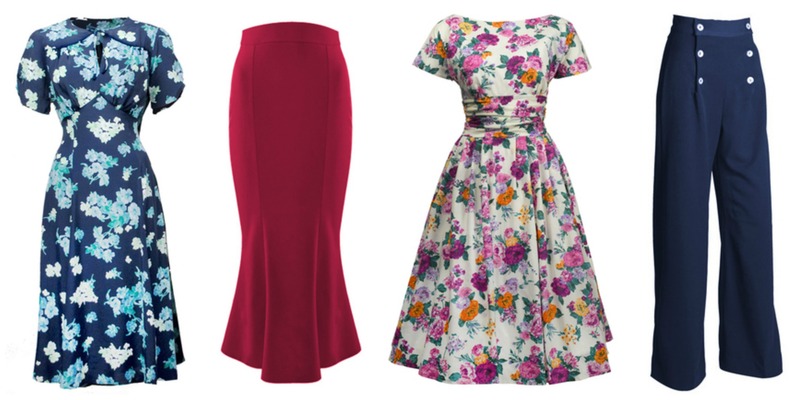 I also really like how many separates are on offer, I’m definitely guilty of sticking mainly to dresses, but I’d love to try some of their skirts, blouses and knitwear. They are also one of the only UK stockists of Besame make-up. If you have a blog or small business why not consider having an advert on Vintage Frills. My rates are really affordable and come in various packages. I also offer a very cheap rate for fellow bloggers, which I have just introduced. Find out more over on my Sponsorship Page. Next Article 30s Recipe Cards and 50s Cookie Cutters!